– GPS Navigation systems. While you might well know where you are and how to get back to shore, it is always a good idea to have a GPS system just in case. You never know what might go wrong and these systems are affordable enough for anyone. – Marine stereo systems. You can listen to your favorite music and have a great time onboard your boat when you invest in a marine stereo system. These radios come in all shapes and sizes, making it easy for you to find the perfect entertainment piece to add to your vessel. Make sure that you choose marine radios specifically, however, because they are water, UV, and corrosion resistant. – Fish finders. If you’re planning on doing any fishing, having fish finders is a great way to make your trip more enjoyable. You’ll spend less time traveling and more time fishing, which is the whole point of a fishing trip, anyway. – Marine computers and internet. Getting online when you’re out on the water might not seem like a priority but it can be useful to have access to your email, news, and connections with friends when you are on your boat. – Marine audio speakers. 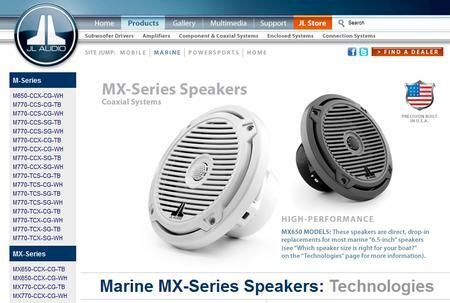 There are so many different types of speakers that you can buy for your boat. You should take the time to find ones that are worthy of your favorite tunes and match well with your chosen stereo system. Getting better speakers is a great way to have more fun when you’re out on the boat for any reason. These are all great marine electronics that you can find when you are outfitting your boat. Of course, there are many other types of marine electronics available that you might find useful, so it will be up to you to learn about your options and find the best equipment for your vessel. When it comes to marine electronics, there is something for everyone to make boating an experience like never before.